Artificial sweeteners are sold as a way to treat obesity, but billions consume them without knowing their real impact. For the first time, new research has found the reason why you feel hungry and want to eat more when consuming artificial sweeteners. Despite artificial sweeteners being low in calories, they can affect the regulation of hunger in the brain and make you eat more. A complex neuronal network in the brain integrates the sweetness and energy content, telling the body that this amount of energy is not enough and the body needs to eat more. “After chronic exposure to a diet that contained the artificial sweetener sucralose, we saw that animals began eating a lot more. Through systematic investigation of this effect, we found that inside the brain’s reward centres, sweet sensation is integrated with energy content. When sweetness versus energy is out of balance for a period of time, the brain recalibrates and increases total calories consumed. Using this response to artificially sweetened diets, we were able to functionally map a new neuronal network that balances food’s palatability with energy content. In the current market, more than 4,000 foods contain sucralose, including flavoured iced teas, diet sodas, sparkling and flavoured waters. In this study, fruit flies were fed with a diet Iaced with artificial sweeteners for more than five days. The flies consumed 30% more calories compared to when they were given naturally sweetened food. Professor Herbert Herzog, another author of this study, replicated the study on mice. A sucralose-sweetened diet in mice led to their consuming more food — a similar effect to that seen in the fruit flies. “These findings further reinforce the idea that ‘sugar-free’ varieties of processed food and drink may not be as inert as we anticipated. 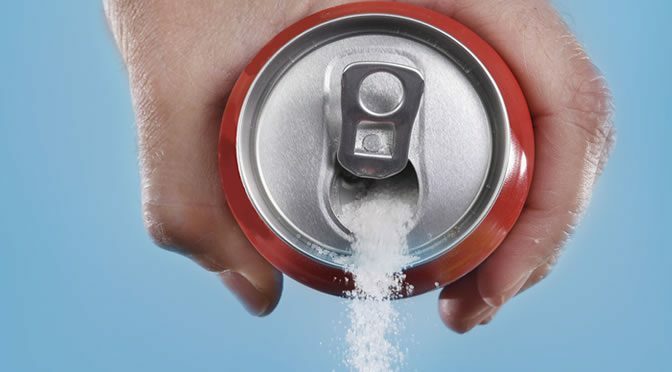 In addition, several studies have report that artificial sweeteners increase hyperactivity, insomnia and decrease sleep quality, resulting in hunger. This study was published in the journal Cell Metabolism (Wang et al., 2016). Artificial Sweeteners: Are They Safe?